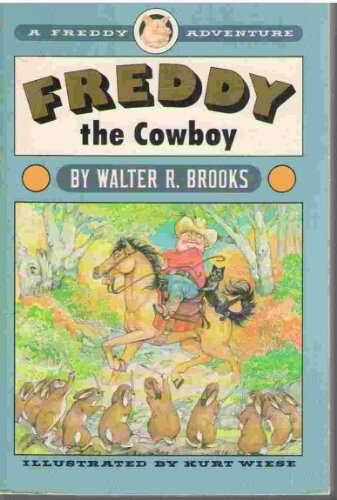 Adults, children, and reviewers have embraced the stouthearted Freddy the Pig since he and his Bean Farm chums first appeared in 1927, and the Overlook reissues of this classic series-with almost 150,000 hardcover copies sold-have brought these timeless adventures to an entirely new generation eager for a good time and a good laugh. As a recent USA Today feature about the Freddy phenomenon noted, the Freddy books brilliantly illustrate the cardinal virtues: "fair play and a good sense of humor." 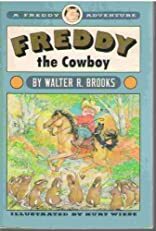 In Freddy the Cowboy, Freddy buys a pony, learns to ride, and winds up in a tussle with the rascaliest varmint in Centerboro. It seems Mr. Flint, owner of the dude ranch, is plotting to rob the First Animal Bank where the animals keep their valuables. And from there on in Freddy and Flint develop a mutual dislike for one another-so much so that Flint lets it be known he will shoot Freddy on sight! With the aid of a brave mouse, the Horrible Ten, and the Bean Farm gang-not to mention Cy, his trusty mount-Freddy shoots it out with Flint in the aisles of the cosmetics department of the Busy Bee. The Wild West was never like this!